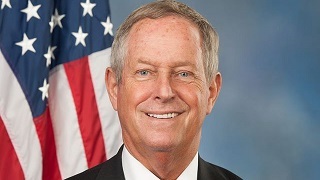 Congressman Joe Wilson represents the people of South Carolina’s Second Congressional District in the United States House of Representatives. The Second District includes all or part of Aiken, Barnwell, Lexington, Richland, and Orangeburg counties. Congressman Wilson serves as Chairman of the House Armed Services Subcommittee on Readiness, as vice-chair of the House Committee on Education and the Workforce, and as a senior member of the House Foreign Affairs Committee.